Susan G. Komen Greater Fort Worth is excited to announce three new board members — Marie Forbes, Jeremy Byrd, and Susie Henning. All come with many years of service in the community, in addition to professional backgrounds that will benefit the affiliate’s service area and its people. Marie is Director of Resident Solutions with QuadCo Management Solutions, LLC, in Fort Worth. A nine-year breast cancer survivor, Marie is a graduate of The Ohio State University. 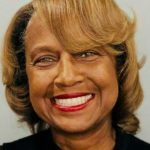 Her volunteer history includes working with Operation Correct Start in Atlanta, GA and organizing community health fairs there following her diagnosis. She and her children were part of the Estee Lauder Companies Breast Cancer Awareness Campaign in 2014. She resides in Fort Worth area with her husband Glenn Forbes. 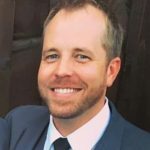 Jeremy, a graduate of Texas A&M University, has been active in a number of local nonprofit organizations, including Habitat for Humanity, Big Brothers Big Sisters of Fort Worth, Lena Pope and Performing Arts Fort Worth, Inc. He currently is Director of Hospitality for Firestone & Robertson Distilling Co. in Fort Worth. He is a Fort Worth resident. 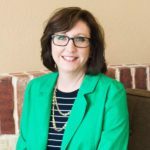 Susie serves as Development Director for Trinity Christian Academy, a Parker County private school. A graduate of Oklahoma State University, she is almost a six-year breast cancer survivor. Her background includes volunteer work with Mothers of Preschoolers, the Weatherford Chamber of Commerce and women’s ministry at Wedgwood Baptist Church. She resides in Aledo.